The Christmas season is in full swing in my house. The holiday music is blaring, the halls are decked, the baking has begun and I have already started to plan our annual Christmas Eve dinner menu. Squeeee….I am so excited. The holidays are all about cherishing time with family and friends. Perfect holiday moments such as these lead to joyful memories that will last a lifetime. Christmas Eve dinner is always my gig each year. Eighteen of us gather around the table each year to celebrate our wonderful family and many blessings. In addition to preparing a dinner fit for an army, I also love to serve a signature “mocktail” that both young and old can enjoy. This year, I am making this refreshing Cranberry Orange Fizzy for everyone. This drink is made with Canada Dry TEN®. Have you tried it yet? Canada Dry TEN® has the full flavor of Canada Dry® with only 10 calories. It’s the perfect way to lighten up your holiday drinks and the perfect way to brighTEN the season. I always make sure I stock up on Canada Dry® products for holiday entertaining. Canada Dry TEN® is perfect for making both non-alcoholic drinks and cocktails. I purchased all the ingredients needed for my Cranberry Orange Fizzy at Target. You can save some money by taking advantage of the Cartwheel offers below. Since I have a pretty diverse age range of family members at Christmas Eve dinner, I always like to make sure I have at least one non-alcoholic drink that both young and old can enjoy. You can certainly make this Cranberry Orange Fizzy as an adult beverage too by adding some gin or vodka to it if you wish. There is nothing complicated about this drink AT ALL. Simple is always a plus when you are entertaining for the holidays. It allows us to spend more time with our family and guests. Begin by pouring one can of Canada Dry TEN® evenly into two glasses. Then add the cranberry juice and orange juice. 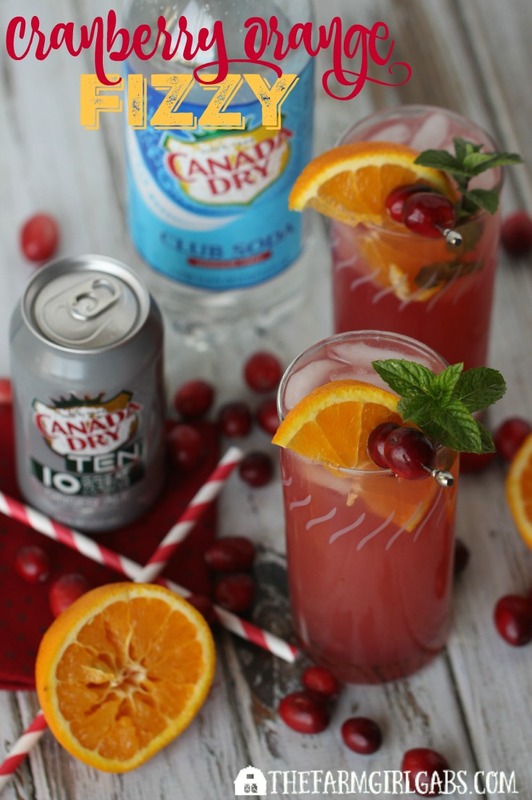 Finish the Cranberry Orange Fizzy off with a splash of Canada Dry® Club Soda in each glass. The Canada Dry TEN® and Canada Dry® Club Soda both give the drink a nice fizz. The cranberry and orange pair so well together. The beautiful cranberry red color is so festive too. The perfect color for the holiday season. I also like that the Canada Dry TEN® adds fewer calories to this drink. The holidays are full of calories and this is a perfect way to cut back without sacrificing delicious flavor. From Nov 16 – Dec 12, (5) $100 Target GiftCards™ will be given away each week to those who upload an Instagram, Facebook or Twitter photo showing how they #BrighTENtheSeason. All winners must be at least 18 years old. What are some of your perfect holiday moments? What traditions do you look forward to each year? 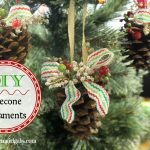 Holiday do you plan to celebrate the holiday season this year? Hopefully you will try this Cranberry Orange Fizz. It’s the perfect place to start. Find more recipe ideas from these perfect holiday moments. This non-alcoholic Cranberry Orange Fizzy is the perfect way to #BrighTENtheSeason . 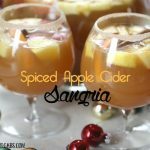 Toast the holiday season with this refreshing drink. Fill two 14 ounce glasses with ice. Add three ounces of orange juice to each glass, followed by four ounces of the cranberry juice. Top each glass off with a splash of Canada Dry® Club Soda (about one ounce in each glass). Garnish with orange wedges, fresh cranberries and mint.